We receive numerous inquiries from our community and felt that it would be appropriate to share responses to commonly asked questions. If you have a question that has not been addressed, we would like to hear from you. You may use the “Ask the Director” to forward your questions or comments to us. If you would prefer to speak with us by telephone, our staff would be pleased to provide an answer to any funeral related matter you may have. Today, the majority of deaths occur in health care institutions, in which case you will need to inform the facility staff which funeral home you have chosen, so that they can contact the funeral director and make arrangements to bring your loved one in to our care. If the death occurs outside of a health care institution, the first task is to notify your funeral director. Your funeral director will ensure that the proper authorities are notified and procedures are followed. How do I prearrange a funeral? To prearrange a funeral, simply contact MacLean Funeral Home Swan Chapel, to arrange a time convenient for you to discuss your wishes. This meeting will allow the funeral director to gather necessary information, as well as provide you with the opportunity to discuss your wishes. At this time you can choose what type of service you desire, as well as any other details you would like included, such as information for an obituary notice, music, participants etc. If you are unable to visit the funeral home, we will meet you in your home. If you require transportation to the funeral home, transportation will be provided. These instructions are kept on file at the funeral home until they are needed. At this time, you may also wish to pre-pay your service or discuss financial arrangements for the plans that have been made. Who should be pallbearers? Honourary pallbearers? Flowerbearers? Bearers are usually selected by the family or chosen by the deceased if they had made their wishes known. The pallbearers and flowerbearers are usually friends, relatives, faith community members or business associates. Honorary pallbearers could be selected business associates, church members and/or social organization members. Can I donate my body to medical research? What about organ donation? If you wish to donate your body to medical research, please contact the Dalhousie University, Department of Anatomy and Neurobiology at 902-494-6850 or visit their website. If you wish to be an organ donor, you must make your wishes known prior to death. To become an organ donor in PEI you must complete an “Intent to Donate Form”. Your information will then be added to the Intent to Donate Registry. What happens if I die out of province? Your funeral director can assist you if a death occurs anywhere on the globe. Contact the funeral directors at MacLean Funeral Home Swan Chapel and they will assume responsibility and coordinate the arrangements for the return of the deceased person to the community. Can I have a visitation and funeral service if cremation is chosen? Certainly, cremation does not preclude having a visitation period and a funeral service. Many people have a time of visitation and a funeral service followed by cremation. MacLean Funeral Home Swan Chapel provides services to suit every personal need and financial situation. We encourage you to compare prices between funeral homes. We know that you will find that prices at MacLean Funeral Home Swan Chapel are reflective of our professional services. Am I able to customize funeral services to my faith, culture or ethnic beliefs? Yes, the funeral directors and staff at MacLean Funeral Home Swan Chapel will be pleased to assist you in recognizing your varied beliefs as well as incorporating your personal touches, so that your funeral best reflects you and the life you have lived. What are the benefits of pre-planning my funeral? A Sense of Accomplishment – You’ll feel good knowing that these arrangements have been taken care of. Fewer Family Concerns – Your surviving family members will have less to worry about in the event of your death. Can I make cemetery arrangements through the funeral home? The funeral directors can advise you of who to contact for the various cemeteries on PEI. It is however, your responsibility to contact this individual to arrange and pay for a burial plot. Can I purchase a monument through the funeral home? Yes, the funeral director can assist you. Allison is a representative for Classical Memorials. A funeral is a ceremony marking a person’s death. (Wikipedia) Funerals encompass various cultural, religious and personal beliefs. The social act of observing funerals has a long and varied history amongst the peoples of the world. Many grief specialists believe that viewing aids the grief process by helping the bereaved recognize the reality of death. Viewing is part of many cultural funeral traditions. Children are also encouraged to be involved, as long as the process is explained and the activity voluntary. What is the purpose of embalming? Does everyone have to be embalmed? The practice of embalming has existed since early history throughout many lands and cultures. In Canada, the majority of bodies are embalmed, yet few people understand how and why we embalm our dead. Embalming disinfects, temporarily preserves and restores ones physical appearance, allowing the family time to celebrate the life and perform ritual funeral services. Who issues a death certificate? MacLean Funeral Home Swan Chapel provides a Funeral Director’s Statement of Death which is appropriate in most circumstances. An official Certificate of Death must be obtained from the the Department of Vital Statistics. There is a fee associated with certificates issued by the Department of Vital Statistics. A eulogy is a testimonial to the life of the deceased. It is usually given by a relative or a close personal friend of the person who has died. The eulogy is a way to share details, personal quotes and fond memories of a loved one that other people may not be aware of, or that they may find comforting. Cremation is a process of extreme dehydration and evaporation created by intense heat, which the reduces the composition of the body into bone-like fragments. Cremation can take anywhere from 1-3 hours. The bone-like fragments need time to cool before they are processed. Can personal items be placed inside the casket with the deceased? There are certain items that cannot accompany the deceased. Any item such as a letter, drawing, card, or candy be placed with the deceased. Items such as batteries, iPods, hearing aids, bullets, metal objects, glass bottles with caps or plastic bottles are not permitted. Individuals with pacemakers are also required to have the pacemaker removed prior to cremation. Cremated remains are bone-like fragments of calcium phosphates with some other minor minerals. These remaining fragments are processed into a sand-like substance and weigh approximately 4-8 pounds. People will often refer to cremated remains as “ashes”, which they are not. How do we know it is our loved one that is being returned to us? Both the funeral home and crematorium follow strict policies and procedures to ensure identification throughout the process of transfer, care and cremation. The crematorium staff assign a numbered stainless-steel disc that is linked to the record of the deceased. This identification disc is placed in the box with the cremated remains. Cremated remains can be divided based on authorization from the executor/family. The value is that each member of the family can have a portion of cremated remains to be kept in either a keepsake urn, cremation jewelry, or scattered in a special place of meaning. Should I indicate my wishes for cremation in my will? Ideally, you would have a discussion with your executor and/or family regarding your wishes for final disposition. The will isn’t usually read until some time after services have been held, and by then it may be too late to fulfill your wishes. One of the simplest ways to convey your wishes is to pre-plan your funeral service. Do I have to purchase a casket if cremation is chosen and if so, what happens to it? No, however the remains must be in a container to be received by the crematorium. When a casket is chosen for cremation, that casket is cremated with the remains. Other options are available, such as rental caskets, where an outer casket is utilized for funeral ceremonies and an “inner” container is used for cremation purposes. This container serves both for the dignity of the deceased as well as the health and safety of crematory operators. Can I travel with cremated remains? Yes, you can travel with cremated remains along as conditions are met. If traveling by plane, cremated remains within a container can be part of your carry-on baggage. The container must pass through the x-ray machine at security. Some cremation containers are more likely to pass through screening, such as plastic, cardboard or cloth. If the container does not pass through screening, cremated remains can be mailed via Canada Post to the destination. Cremation can only take place after all required documentation has been secured. This includes a permission to cremate form authorized by the executor/family; the completed registration of death form, a completed Form 5 signed by the coroner that authorizes the body for burial, cremation or transport, and a completed burial (or other disposition) permit. No, cremation is an alternative form of final disposition and often follows a traditional funeral service. Choosing cremation, does not preclude having a visitation and a funeral service. I want to have a service. Should cremation take place before or after? The decision is yours to make, however, you might want to consider the value of having the body present for visitation and/or the funeral. A container used to hold cremated remains. 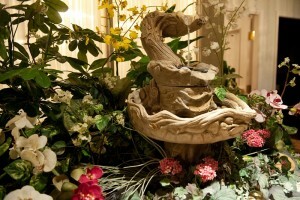 Urns can be made from statuary bronze, enameled copper, marble, glass, hardwood or natural and biodegradable materials. It is important to consider what you intend to do with the cremated remains after services. Some niches are regulated in terms of what type of urns can be placed within the space. If you wish to scatter the cremated remains, other types of urns might be better suited. Grief is the collection of feelings and behaviors associated with the loss of a person. The loss can be expected or it can be sudden. No matter how the loss occurs, grief is the normal and natural response, but each individual experiences loss differently and in a variety of ways. What can I do to help someone who is grieving? It is important to allow the grieving person some space as well and also incredibly helpful to acknowledge their loss and to talk about it, should they wish to discuss it. Should children be involved with the funeral? Children should be encouraged to attend and participate in funerals, but never forced. Such a decision could also include consideration for the child’s level of development and temperament. When they are lovingly guided through the process, most children want to attend. Give the children clear explanations of what will happen at the funeral. Who will be at the funeral service? Where will the service take place? When will the funeral happen? What is expected of the child? What is a memorial donation? A memorial donation is a fitting way to remember a special person, while at the same time helping others. How should we express our sympathies? There are many ways to express sympathies. If you are attending visitation, simply say “I am sorry for your loss”. Often times families will gather after the funeral service for a reception and your attendance at this gathering is a wonderful time to offer your sympathies by way of sharing a positive reminiscence of the person. You could share a story about a time they offered you help, how they always shared their latest joke or how you appreciated their friendliness. Other ways to show sympathy include sending a floral tribute, making a charitable donation in memory of the deceased or sending a card that includes your sentiments. Funeral Directors have many roles in their communities. They serve as caregivers, educators, administrators and organizers. Working in consultation with the family, the funeral director attends to each and every detail of the funeral service. It has been estimated that over 136 individual activities must take place in order for one funeral to be conducted. On a more personal note, we are also listeners, advisors, and supporters. The funeral directors at MacLean Funeral Home Swan Chapel have more than 70 years of combined experience in helping families in grief cope with death. We take great pride in our profession and welcome the opportunity to share knowledge with various community groups and allied professionals, through our education series. To become a funeral director one must first have the personal understanding and characteristics to suit the profession. You must be empathetic, understanding, compassionate and well-organized. Passing a provincial board licensing examination. An internship or apprenticeship ranging from one to three years. Many provinces require that funeral directors meet continuing education requirements to maintain licensure. Please contact the funeral service college of your choice for specific education guidelines. Are funeral directors required to complete continuing education? The staff of MacLean Funeral Home Swan Chapel have always been committed to life-long learning. When our new provincial act was acclaimed, it mandated all licensed funeral directors and embalmers to participate in annual continuing education.